Hi again! 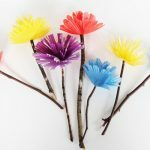 It’s Megan from Homemade Ginger and I’m back to share a simple craft that your kids or students will just love making for spring! Even though we live in the middle of a suburb outside of a big city, I’m always surprised at how many animals come out in the spring. We have spotted foxes, deer, chipmunks, coyotes and even muskrats all just in our neighborhood! It’s always so fun when one of my kids sees an unexpected animal! It almost feels like a treasure hunt. Among the various animals, we also have some beautiful birds that come out in the springtime. We love trying to identify the different birds and figure out if it’s a male or a female. 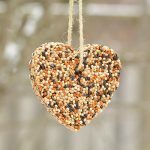 I thought that this would be the perfect time of year to make some bird feeders. Although there are tons of different beautiful store bought bird feeders, my kids were so excited about making their own and finding a tree to hang them on. They kept checking back and peeking out the window to see if any birds had found their feeders yet. 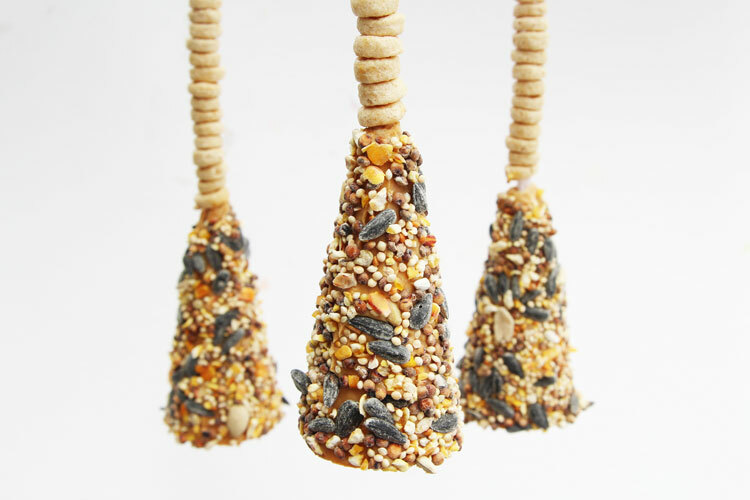 These little bird feeders are so simple to make and they look just so sweet hanging in a tree. 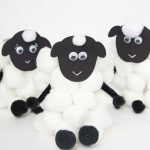 This would make a great activity for a class to do as an easy springtime craft. You could also wrap your feeder in a clear bag and give it as a little gift for Mother’s Day! 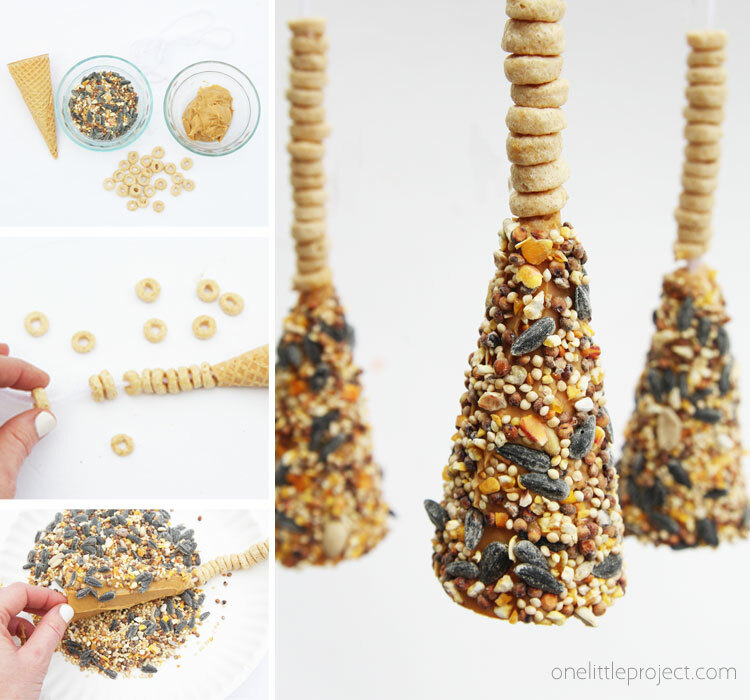 There are lots of DIY bird feeders on Pinterest, but I was especially inspired by this one from Betty Crocker. 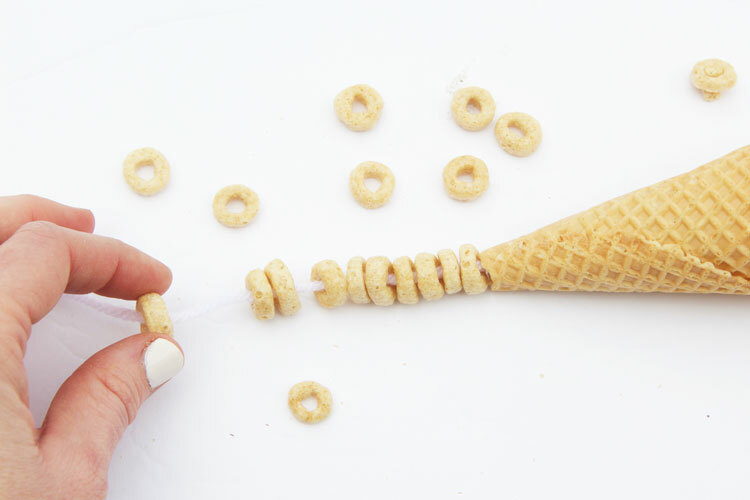 I loved the idea of using cheerios, but I wanted to find a way to add them to the string for an even cuter look! I just love how these turned out and couldn’t believe how easy they were! 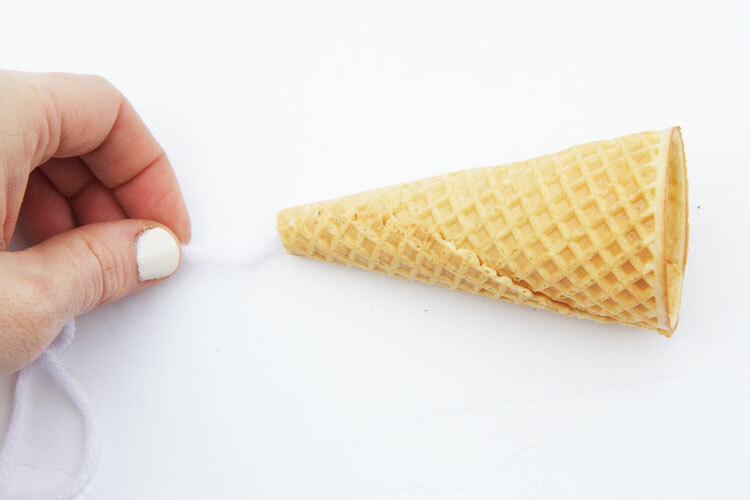 First, you will need to cut the very tip off of the ice cream cone. I just gently broke the tips off of mine but you could also do this with a knife. Next, thread a piece of yarn through the hole and make a knot at the end. Next, thread some cheerios onto the string. You can do as many or as few as you’d like. I love how it looked with the majority of the string covered in cheerios! 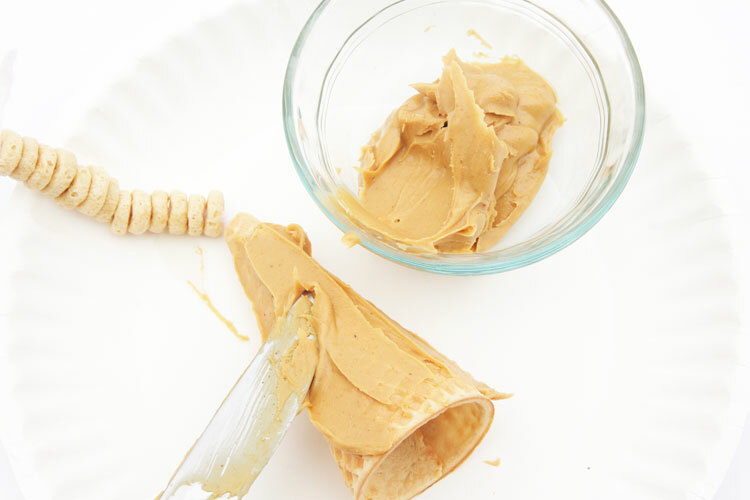 Spread some peanut butter onto the ice cream cone. 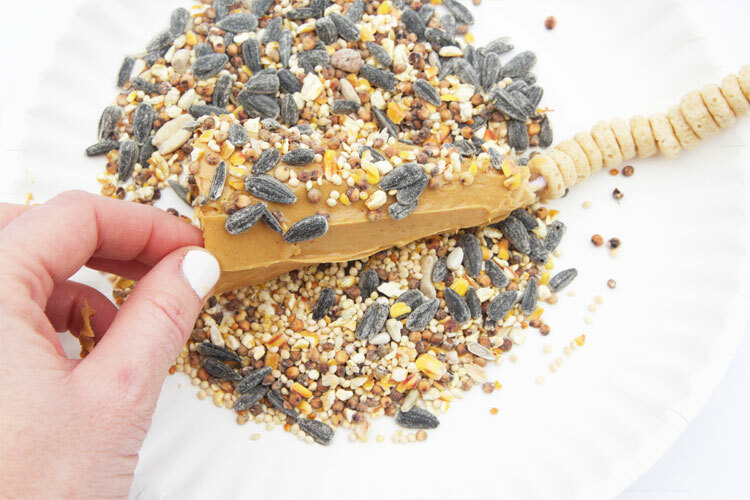 Roll the ice cream cone around in bird seed until it is completely covered. Find a spot outside to hang your bird feeders! 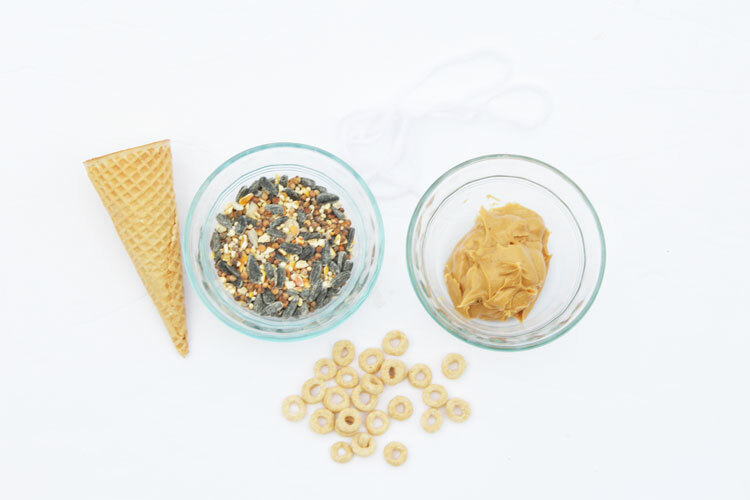 Kids of all ages can make this quick and easy craft! 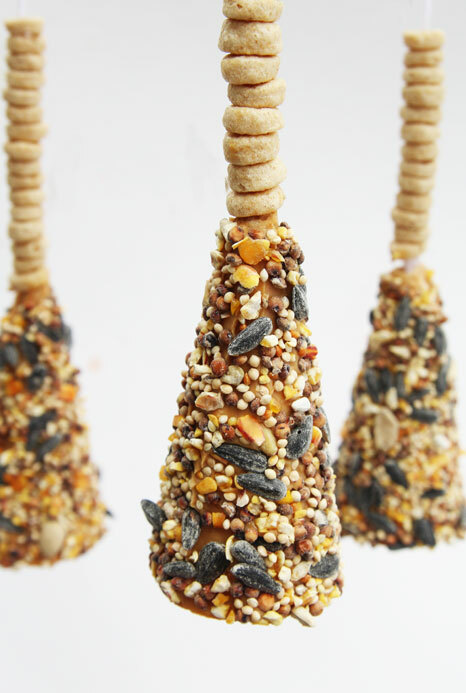 These ice cream cone bird feeders are so easy to make and a great kids craft for spring. 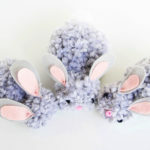 These would also be great to give as Mother’s Day or teacher appreciation gifts!